Out of all the very positive things we witnessed during the Dallas Cowboys preseason opener versus the 49ers, Jaylon Smith's performance was among the most impressive ones. Since the moment the front office took a risk in the second round of the 2016 NFL Draft we've been expecting this moment to arrive. 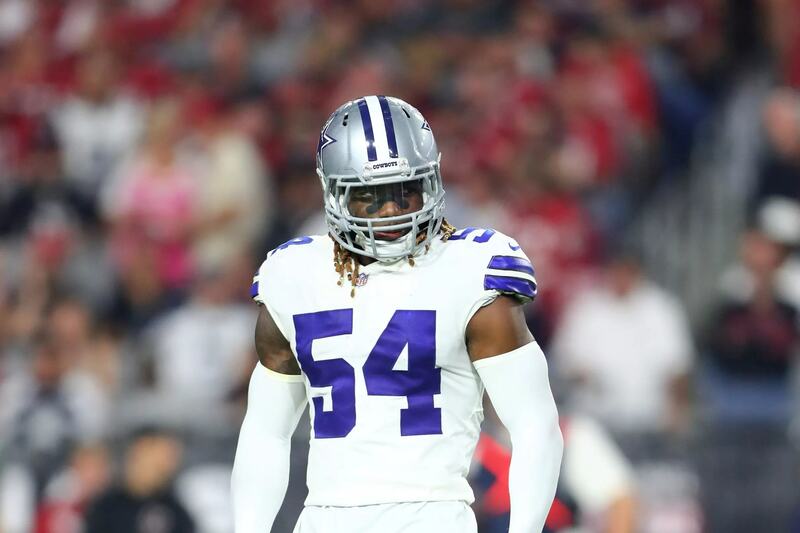 The linebacker we saw during the first defensive series by the Cowboys was a very different one from what we've seen before from #54. Jaylon Smith, whose knee has been a nightmare for Cowboys fans waiting to see him thrive as a pro, seems to be 100% healthy to play as well as he did prior to his injury. We've seen the potential that Jaylon brings to the table. He's a smart, explosive and fantastic athlete. What we first saw from him in 2017 though, wasn't completely convincing. This of course, was understandable. The Cowboys' coaching staff wasn't even planning to rush him into the field as quickly as they did but Anthony Hitchens' injury forced them to. Despite showing us that he had the potential to be very special once he became healthier and his knee situation improved, Smith clearly struggled at times last season. His coverage was far from being great and he simply looked uncomfortable changing direction. Heading into his third year in the NFL, that's changed. The above play represents just what I'm talking about here. He stops, plants himself, and explodes to get to the running back, changing directions just like he did when he played for the Fighting Irish in college. It was amazing to see him right on top of the tight end on this play, sticking to him all the way with great coverage. Just a couple of plays later, he ran full-speed down the field in coverage without any problem, helping the defense to break up the pass. But his defense against the run and his coverage game wasn't the only things he was able to show off. In various occasions, the Cowboys sent Smith to rush the passer and he was successful. His power when bull-rushing was very impressive. In a year in which the bar is set high for pass-rushing defensive linemen like DeMarcus Lawrence, David Irving and Randy Gregory, we've kind of overlooked Jaylon Smith as an important pass rusher on the team. We've heard of the Cowboys looking at his abilities to rush the passer in training camp and finally getting to watch it in a preseason game is very promising. He could be one of the many "X-factors" Rod Marinelli's defense has right now. The Cowboys' linebacker group really feels like a very good one. It was seen as one of the biggest team needs in the offseason and after drafting Leighton Vander Esch in the first round, the top three guys on the depth chart seem scary. Not to mention, Joe Thomas and Damien Wilson also showed off last Thursday and seem to give the Cowboys' amazing depth along with Justin March-Lillard. 2018 definitely looks like the year in which the high-risk-high-reward gamble the Cowboys took in the 2016 NFL Draft pays off. At the end of it all, "high-reward" may turn out to be a huge understatement. Tell me what you think about "The Jaylon Smith We’ve Been Expecting Is Finally Here" in the comments below, or tweet me @MauNFL and let’s talk football! If you like football and are looking for a Dallas Cowboys show in Spanish, don’t miss my weekly Facebook Live! show, Primero Cowboys!